Collaboration is vital to our industry. We’re therefore happy to develop partnerships with other organisations in Sheffield and the larger region, where we have a shared interest in promoting the growth of the digital sector. It’s got a growing reputation as a city where digital and creative businesses can start up, grow and thrive on a national and international scale. 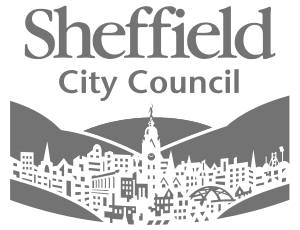 And now Sheffield is set to underline the importance of its digital sector even further, with Sheffield City Council joining Sheffield Digital. The Barnsley Digital Media Centre (DMC) is an award-winning hub for digital, creative and innovative businesses in the heart of Barnsley. Sheffield Digital is collaborating with the DMC to advance its campaign to spread digital learning and support business innovation across the Sheffield City Region. The University of Sheffield Advanced Manufacturing Research Centre (AMRC) helps manufacturers of any size to become more competitive by introducing advanced techniques, technologies and processes. With the ever-increasing impact of digital on the world of industry, the AMRC aims to be the place where ‘Digital meets Manufacturing’. Located on the ground floor of Acero (the newest building on the Sheffield Digital Campus), Spaces aims to offer workspace that covers the spectrum from flexible co-working and meeting space to grow-on office space. They also host meetups and offer a 15% discount on co-working, memberships and offices if you say you’ve been referred via Sheffield Digital. If your organisation would like to explore collaborative opportunities with us, please get in touch.